The reviewer discusses a book about regulation, critiques it for perpetuating the wrongheaded assumptions that underlie our existing regulatory system, then proposes a path forward to bring our regulatory system into conformity with the rule of law. Government regulation defines our daily existence. Regulation defines our education, employment, retirement, health care, and much more. Using comprehensive systems of technical specification, procedural requirements, permitting, and licensing, with close monitoring and stringent penalties for noncompliance, regulation determines the distinguishing characteristics of the products we buy and the essential terms and conditions of the services we purchase. Regulation even seeks to govern what we say, what we write, and the circumstances under which we may express our religious beliefs. All of this is done in the pursuit of policy objectives that are widely supported, at least as those objectives have been stated generally: clean air and water, a protected environment, a safe work place, affordable housing and health care, diversity, and tolerance. The overall system of regulation that has been established to pursue these and other generally laudable objectives is so extensive and so complex that no one can with certainty identify all the agencies, departments, commissions, bureaus, and boards that manage our affairs and direct our activities. The regulatory system is not only pervasive and complex, it is enormously expensive. Some analysts estimate that the cost to comply with government regulation now totals approximately $2 trillion per year. To cover their compliance costs, American businesses are forced to raise the prices they charge for the goods and services they sell. Businesses are also forced to cut their other costs, reducing what they can spend on wages, employee benefits, research and development, and production facility upgrades. In this way, government regulation imposes an enormous burden on the American economy, a hidden tax that we all must pay in higher prices, smaller paychecks, reduced benefits, and lost opportunities for employment. If this hidden tax were spread evenly to all American households, the share for each household would amount to approximately $15,000 per year—an amount fifty percent larger than all the other taxes the average household has to pay in the year! Supporters of extensive regulation dispute the $2 trillion figure, arguing that compliance costs are much smaller, or in any event smaller than the value of the significant social welfare benefits that are provided by regulation. Disputes about the costs and benefits of regulation are likely to persist because there is no general agreement about how to calculate those costs and benefits. Given the pervasiveness, complexity, and cost of government regulation, Americans have a vital interest and real need to understand as best they can how the regulatory system currently works and how regulation can be made to achieve its laudable objectives effectively in a way that minimizes compliance costs and undesirable side effects. 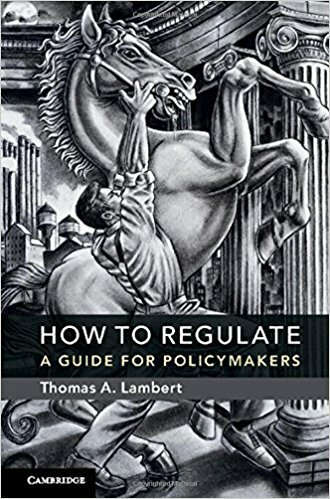 Thomas Lambert seeks to meet the pressing need we have to understand the regulatory system, in his 2017 book, How to Regulate: A Guide for Policymakers. The book targets an audience of “policymakers,” defined very broadly to include not only regulators, government staff, and the attorneys, economists, and other specialists directly involved in the regulatory process, but also law professors and their students. The author even extends his definition to include voters and other engaged citizens who, by their votes and civic involvement, can have some impact on public policy and the regulation that results from policy decisions. The author brings impressive experience and expertise to his ambitious undertaking. He is currently the Wall Chair in Corporate Law and Governance and Professor of Law at the University of Missouri Law School. He has authored more than sixty publications and presentations on law and public policy, most focused on regulation. He is co-author of a leading antitrust textbook. And he has received a number of awards for excellence in teaching and scholarship. Before entering academia, Professor Lambert practiced law in the Chicago office of Sidley Austin and was John M. Olin Fellow at Northwestern University School of Law and the Center for the Study of American Business at Washington University. After graduating from the University of Chicago Law School with honors, he clerked for Judge Jerry E. Smith of the U.S. Court of Appeals for the Fifth Circuit. At the outset of this book, Professor Lambert observes that the general concept of regulation—control and direction of human behavior—is quite broad. It includes a wide variety of common law doctrines such as nuisance, trespass, and negligence, as well as privately agreed to arrangements ordered by doctrines of contract law. A workable definition of regulation would be any threat-backed governmental directive aimed at fixing a defect in “private ordering”—the world that would exist if people did their own thing without government intervention beyond enforcing common law rights to person, property and contract—where the defect [the market failure] causes total social welfare (i.e., the aggregate welfare of all citizens) to be lower than it otherwise would be. If regulation is defined this way, as a supplement and correction to private ordering arrangements based on common law, then Professor Lambert offers that regulation will always be dealing with what he calls “mixed-bag” conduct—human behavior that sometimes and to some extent is good, and that sometimes and to some extent is bad. By “good” he means behavior that increases total social welfare, and by “bad” he means behavior that decreases total social welfare. Regulation must deal with mixed-bag behavior because common law doctrines have long condemned behavior that is always bad (e.g., battery or fraud) and regulation must take over where the common law leaves off. This is not a simple task. There is always the danger that the decisions of policymakers will err in one of two directions. They may fail to prohibit some kinds of bad conduct or they may prohibit some kinds of good conduct. Either type of error creates what Professor Lambert calls “error cost” that results in a lessening of total social welfare. To minimize the possibility of error cost, policymakers can make their regulatory directives more “nuanced.” Policymakers accomplish this by spelling out their directives in great detail using text and terminology that relies upon slight and finely shaded distinctions to specify the precise circumstances in which a behavior will be regulated and, if regulated, the precise circumstances in which the behavior will be permitted or prohibited. Making regulatory directive more nuanced may help reduce error cost, but Professor Lambert admits that adding nuance will increase what he calls the “decision costs” associated with the directives. In the first place, it’s more costly for regulators to formulate directives that are very detailed and complex. It’s also more costly for regulated parties to interpret and comply with directives that are very detailed and complex. And it’s more costly for enforcement officials and adjudicators to apply such directives and determine in a particular case whether the behavior in question is permitted or prohibited. There are difficult trade-offs posed by the intertwined problems of error cost and decision cost. Any steps that policymakers may take to reduce one kind of cost may increase the other kind of cost. If policymakers reduce the coverage of a directive to lessen the risk of prohibiting good behavior, then bad behavior may increase. If, on the other hand, policymakers increase the coverage of a directive to lessen the risk of permitting bad behavior, then good behavior may decrease. And if policymakers attempt to reduce error costs by issuing directives that are more nuanced, then decision costs will certainly increase. In light of the trade-offs and tension that result from the problems of error cost and decision cost, Professor Lambert proposes a rule of thumb for policymakers. He suggests that they should always strive to “[c]raft directives to minimize the sum of error and decision costs” so as to maximize the net social welfare benefits produced by the directives. Professor Lambert recognizes that his rule of thumb may, at first glance, appear to call for nothing more than very basic cost-benefit analysis whereby policymakers simply estimate the compliance costs and social welfare benefits of a particular proposed regulation and then issue the directive if its estimated benefits exceed its estimated costs. It’s fine, of course, to say that policymakers should perform their comprehensive analysis of regulatory alternatives cost-effectively, but how exactly should they proceed to do so? Professor Lambert suggests that policymakers crafting regulations should follow the lead of physicians who, he argues, routinely perform the type of analysis that he is proposing for policymakers. A doctor seeing a patient with an ailment aims to select not just a remedy that will improve the patient’s health (i.e., a remedy that will create more benefits than costs), but the remedy that will maximize net benefits for the patient. The doctor needs to consider the treatment alternatives and select one quickly and efficiently. According to Professor Lambert, the doctor performs this analysis using a five-step process. First, the doctor identifies the patient’s symptoms—the adverse condition that varies from the healthy norm. Next, the doctor diagnoses the disease that has caused the symptoms—the source of the adverse condition. Then, the doctor identifies the alternative remedies available to cure the illness or at least alleviate the symptoms. Then, the doctor assesses all the costs and benefits associated with each available remedy—things like monetary cost, potential side effects, and the expected effectiveness of each remedy. Finally, the doctor selects the remedy that will provide the greatest net benefits to the patient. “The central claim of this book is that policymakers . . . should follow the lead of physicians.” This is the essence of Professor Lambert’s “unified practical approach to regulating.” Policymakers should craft their regulatory directives using the same five-step process physicians use to formulate treatment plans for sick patients. First, policymakers must identify the symptom—“the adverse effect citizens confront within the scheme of private ordering,” the reduced total social welfare that exists as a result of people “doing their own thing” in accordance with their private ordering arrangements based on common law doctrines of property, tort, and contract, and without the benefit of government regulatory intervention. [W]hen property rights are well defined and transferrable, and individuals are able to strike trustworthy exchange agreements, markets will emerge and channel productive resources to their highest and best ends—production of the goods and services that individuals value the most. Unfortunately, as Professor Lambert sees it, “markets sometimes fail to work well” when they are regulated only by the common law. Indeed, he sees markets failing on a regular basis because “people left to their own devices, constrained only by the common law . . . systematically fail to extract the greatest possible value from available resources.” As a result of these systematic market failures, policymakers are confronted with a great many symptoms of suboptimal social welfare. Having set forth his physician’s approach to regulating in general terms, Professor Lambert devotes the rest of his book to detailed descriptions of how that approach can be applied to six different defects in private ordering arrangements—six diseases that are often used to justify the imposition of regulatory directives. These are the often discussed market failures associated with (i) unwanted economic externalities, (ii) public goods that are overconsumed and under-produced, (iii) excessive market power, (iv) information asymmetry among market participants, (v) agency costs that result from excessive market power and information asymmetry, and (vi) cognitive limitations and behavioral quirks that prevent market participants from extracting the greatest possible value from available resources. For each of these defects, Professor Lambert discusses the symptoms they present, the sources of those symptoms, the remedies that are available, and how policymakers can apply his physician’s approach to select the best regulatory remedy—the remedy that seems likely to minimize the sum of error and decision costs and thereby to maximize total social welfare. In short, Professor Lambert aims to make regulation better. Does he succeed? Given the pervasiveness, complexity, and cost of the current regulatory system, it is impossible not to support the efforts of Professor Lambert, or anyone who wants to make regulation better. But given the importance of the subject, we must give very careful consideration to the question of whether, how, and to what extent his physician’s approach would actually improve the regulatory system. “Better” is a relative concept that calls for the comparative evaluation of the attributes of two things in light of some standard that defines the attributes of the optimal version of the two things being compared. So we must first consider the standard Professor Lambert sets forth for regulation. Then we can evaluate whether his approach makes regulation better. As we have seen, Professor Lambert defines regulation as any threat-backed top down governmental directive imposed by policymakers on private ordering arrangements to correct what the policymakers see as defects in those arrangements, so-called market failures that the policymakers believe have caused total social welfare to be lower than it would be absent the market failures. Typically, such directives come from executive branch policymakers who are presumed to be experts regarding the subject matter they regulate. 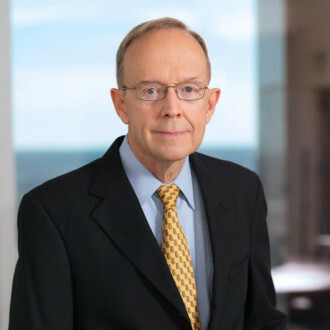 For Professor Lambert, the optimal regulatory system is one in which the policymakers have all the information they need to thoroughly analyze the market failure in question, and also to thoroughly evaluate and compare all the alternative regulatory responses that might be imposed to correct the failure. With this comprehensive information, the policymakers can apply their technical expertise and professional judgment to select and impose the regulatory correction that will maximize total social welfare while minimizing the error costs and decision costs that will result from the imposition of the regulation. The optimal regulatory system, therefore, is one that enables all-knowing policymakers to maximize benefits and minimize costs. With this standard in mind, how does Professor Lambert’s physician’s approach to regulation compare to the possible alternatives? A. Just the Status Quo? Professor Lambert’s point, while true enough, is rather limited in its significance. His physician’s approach is certainly better than an approach to regulating based solely on the desire of policymakers to amass political power. That said, it is far from clear that policymakers regularly impose new regulations without any analysis. In fact, a longstanding series of Executive Orders require executive branch agencies to engage in pre-regulation analysis very similar to that that embodied in Professor Lambert’s physician’s approach to regulating. For example, these Executive Orders require agencies to identify the market failures that they intend to address, identify and assess alternative forms of regulation, assess all the costs and benefits of available regulatory alternatives, select the approach that maximizes net benefits and, throughout the process, design regulation in the most cost-effective manner possible. At one point, Professor Lambert asserts that his physician’s approach “improves upon the simplistic cost-benefit analysis often invoked in debates over proposed regulations.” Considering the forests that have been felled to supply the paper needed to record the endless debates about the regulatory analysis performed by many, if not all, agencies to comply with the aforementioned Executive Orders, Professor Lambert is closer to the mark when he acknowledges that the regulatory analysis currently performed by agencies already “looks an awful lot like” his physician’s approach. Professor Lambert’s systemized exposition of the different types of market failures, and the regulatory alternatives available to respond to those failures, incorporating as it does the ideas of a wide range of legal theorists and economists, certainly provides a useful compendium of traditional thoughts about regulation. Lawyers, especially, may find Professor Lambert’s generally accessible discussion of economic theory to be useful. Only time will tell whether this useful book also becomes a classic. But for now, it seems reasonable to conclude that his physician’s approach to regulating is not clearly better than the status quo. This lack of distinction from the status quo stems from the fact that Professor Lambert’s approach to regulating and the standard he defines for the optimal regulatory system incorporate all the basic concepts and assumptions that have characterized traditional progressive thought and theories about regulation since the emergence of the administrative state more than 100 years ago. Indeed, it is worth noting that even the illustration on the cover of Professor Lambert’s book is faithful to progressive tradition. “The Regulator” is depicted in the style of Social Realism that was common in the 1920’s and 1930’s when the walls of public buildings from San Francisco to Stalingrad were adorned with dramatic images of the muscular masses toiling away heroically in mines and fields and factories. Here, the Regulator is shown struggling to restrain an exuberant horse, perhaps one that just wants to do its own thing. At the center of the progressive regulatory system stand the all-knowing expert policymakers—schooled in the social sciences, law, and public administration, fully informed, disinterested, technocratic—operating outside the realm of politics, freed by a reinterpreted Constitution and broadly written statutes to exercise their professional judgment to remedy any market failures they think warrant their attention. By permitting and prohibiting, rewarding and punishing, allocating and re-allocating the resources of society, these experts use their threat-backed top down executive directives to adjust and recast the arrangements that private persons have made in the belief that such top down reordering will increase the welfare of society as a whole. Three basic concepts support the traditional progressive regulatory system and justify its operation: (i) the idea that market based arrangements among private parties routinely misallocate resources, (ii) the idea that government policymakers are capable of formulating executive directives that can correct private ordering market failures and optimize the allocation of resources, and (iii) the idea that the welfare of society is something that actually exists separate and apart from the individual welfare of each of the members of society. Each one of these concepts is fatally flawed. None can be relied upon to justify the operation of the administrative state, either as it is or as Professor Lambert wants it to be. There are at least two serious problems with the concept of market failure. First, an enormous body of empirical evidence convincingly demonstrates that market based arrangements among private parties are, in fact, the most efficient and cost-effective means by which to achieve the optimal allocation of the limited resources available to the individual members of a society. These market based private ordering arrangements are “defective” only if judged against the subjective preferences that progressive policymakers have for certain resource allocations that differ from the ones that result from private ordering arrangements. For example, the availability of low-cost, high-deductible health insurance providing basic coverage is evidence of a failure in the health insurance markets only if the availability of such a product is judged against the subjective preference that progressive policymakers have for mandatory health insurance providing only comprehensive coverage. The concept called market failure is also flawed because it distorts any analysis of an economic problem that begins with its presumption. The concept artificially and incorrectly anchors the sequential analysis of an economic problem by first assuming that the problem is the result of some defect in private ordering arrangements that exist in some imagined unregulated state of nature, as opposed to the real world where all transactions are influenced to some degree by regulation. With this assumption in place to direct the analysis, it is logical, even inevitable, for the policymaker to conclude that the proper response to the observed problem is to impose new regulations; conversely, this assumption will never yield a solution that involves removing or narrowing the scope of a regulation. The assumption that problems arise exclusively from failures in private ordering arrangements is the force that drives the often commented upon “ratchet effect” attribute of the administrative state; it only grows, never shrinks. Professor Lambert does note that “[i]n many cases, the optimal remedy [for a market failure] will be to do nothing and simply allow space for privately ordered solutions to . . . emerge.” Regulatory forbearance is always welcome, but the fact that a policymaker may, on a case-by-case basis, elect not to initiate a process based upon a distorting assumption of market failure does nothing to address, much less correct, the fundamental flaw in the process that results from that distorting assumption. As everyone knows, the existing regulatory system is pervasive, all-encompassing, and controlling. It is, therefore, profoundly mistaken to begin the analysis of an economic problem with the assumption that the problem arose as a result of a lack of regulation. For example, traditional progressive analysis blames the 2008 financial crisis on the greed of bankers, builders, and other private parties. Greed is a facet of human nature and always present to some degree in the actions of private parties. Greed certainly played a part in the financial crisis, but to conclude that greed caused the crisis is to ignore the regulatory failures and flawed public policies—including affordable housing policies, lapses in regulatory oversight, rating agency failures, and cheap money policies advanced by the Federal Reserve—that made significant causal contributions to the crisis. Considering the pervasiveness of the current regulatory system, it would be much more accurate, and potentially more useful, if policymakers began their analysis of an economic problem by assuming a regulatory failure. As they emerged in the early 20th century, the progressives completely rejected the concept of popular sovereignty based on natural rights that is embodied in the Declaration of Independence. Woodrow Wilson, for one, dismissed the Declaration as a political document of some historical interest, but one that had “no consequence” for his own time. As a result, Wilson and other progressives also rejected the constitutional system of limited government that the Founders established to secure the natural rights recognized in the Declaration. In government . . . the hardest of hard things is to make progress . . . . Nowadays the reason is that the many, the people who are sovereign . . . are selfish, ignorant, timid, stubborn, or foolish with the selfishnesses, the ignorances, the stubbornesses, the timidities, or the follies of several thousand persons . . . [t]he bulk of mankind is rigidly unphilosophical, and nowadays the bulk of mankind votes. Our success [in reforming government] is made doubtful by that besetting error of ours, the error of trying to do too much by vote. Self-government does not consist in having a hand in everything . . . [As in housekeeping, the] . . . cook must be trusted with a large discretion as to the management of the fires and ovens . . . without suffering . . . [public opinion] . . . to be meddlesome. Thus was born the concept of the expert policymaker, the professionally trained technocrat, operating apart from politics, applying his superior wisdom and keen insights to identify the defects in the arrangements made by lesser Americans, then exercising his large powers and unhampered discretion to impose threat-backed directives on his lessers so as to override and modify their arrangements in ways he believes will benefit society as a whole. Wilson’s concept of the wise expert is still of central importance to the progressive regulatory system today. Professor Lambert has directed his book primarily to experts. He has offered up his physician’s approach to regulating in hopes of helping experts function more efficiently. And Professor Lambert’s optimal regulatory system is centered around fully functioning experts. This progressive trust in experts is misplaced. It is simply false to suppose that government policymakers are capable of formulating executive directives that effectively improve upon private arrangements and optimize the allocation of resources. Friedrich Hayek and other classical liberals have persuasively argued, and everyday experience has repeatedly confirmed, that the information needed to allocate resources efficiently is voluminous and complex and widely dispersed. So much so that government experts acting through top down directives can never hope to match the efficiency of resource allocation made through countless voluntary market based transactions among the private parties who actually possess the information needed to allocate the resources most efficiently. A central theme of this book is that Hayek’s knowledge problem—the fact no central planner can possess and process all the information needed to allocate resources so as to unlock their greatest possible value—applies to regulation, which is ultimately a set of centralized decisions about resource allocation. He recognizes that context-specific information is vitally important. But, having conceded these critical points, Professor Lambert fails to follow them to the logical conclusion that private ordering arrangements are best for allocating resources efficiently. Instead, he stops one step short, suggesting that policymakers defer to the regulator most familiar with the regulated party when they need context-specific information for their analysis. Professor Lambert is mistaken. The best information for resource allocation is not to be found in the regional office of the regulator. It resides with the persons who have long been controlled and directed by the progressive regulatory system. These are the ones to whom policymakers should defer. Policy directed resource allocations are insufficient for another reason. Actual policymakers simply don’t live up to Wilson’s ideal of the disinterested, objective, apolitical, expert technocrat. To the contrary, a vast amount of research related to public choice theory has convincingly demonstrated that the decisions of regulatory agencies are frequently shaped by politics, institutional self-interest and the influence of the entities the agencies regulate. Professor Lambert devotes a good deal of attention to the problem of “agency capture” by regulated entities. However, he fails to acknowledge that a symbiotic relationship between regulators and regulated is not a bug in the regulatory system, but an inherent feature of a system defined by extensive and continuing government involvement in the allocation of resources. Finally, in addition to lacking the information and objectivity needed to allocate resources efficiently, the expert also lacks the legitimacy to allocate resources lawfully. Our constitutional system clearly divides the legislative, executive, and judicial functions among three branches. Wilson and the progressives rejected this constitutional system and consolidated all these functions in the powerful and politically unaccountable executive expert. The Founders realized that such a consolidation of power defined the essence of tyranny. They established a system of separated powers to secure their natural rights and protect liberty at the expense of efficiency. The progressives reversed these priorities and instead sought efficiency at the expense of liberty. Considering the limited information available to policymakers, and their revealed lack of objectivity, it appears that we have sacrificed liberty to seek efficiency and now have little of either. The whole point of the progressive regulatory system—the purpose and justification of every one of its imposed directives—is to increase social welfare. Professor Lambert’s ultimate goal for his book is to provide policymakers with a resource that will enable them to make regulatory decisions that produce greater social welfare. There is, however, a fatal flaw in the concept of social welfare that undermines the legitimacy of any effort to increase it using threat-backed top down regulatory directives. The concept is fatally flawed because there is simply no meaningful way to measure it. There is no single generally accepted methodology that anyone can use to determine objectively how and to what extent the welfare of society will be affected by a particular regulatory directive. Policymakers have long used gross domestic product (“GDP”)—the market value of all goods and services produced in a year—as a measure of the welfare of society. But GDP has come under sustained attack from a multitude of critics who argue that it provides an exceedingly narrow measurement of certain types of quantifiable economic activity, and that it fails to adequately account for the substantial social benefits associated with many other factors relating to the quality of life. Those critics contend that these quality of life factors should also be considered when assessing social welfare. The problem is that the benefits associated with these additional quality of life factors are extremely difficult, if not impossible, to quantify for use in any measurement of social welfare; consider for example, the benefits associated with atmospheric decarbonization, sustainable economic activity, equitable income distribution, and leisure time. When economists attempt to measure social welfare, they begin by selecting the social welfare function or mathematical model they will use for their analysis. Several different models are currently in use; no single model is used universally or exclusively. When the economists have selected their model, they will then select the inputs to be modeled. Inputs may include any factors considered by the economists to have a material effect on the welfare of society. Some of these factors, like GDP, may already be quantified. Other quality of life factors like atmospheric decarbonization are not. To input these factors into their model, economists make aggressive, essentially unverifiable assumptions about the extent to which the individual members of society collectively value the benefits associated with the quality of life factor in question, say atmospheric decarbonization in this case. When the quality of life factors have been quantified in this way, the economists then model all their inputs against different resource allocations to see which allocation is identified by the model as the one that will maximize social welfare. This resource allocation is then said to be best for all members of society and will be imposed by the policymaker, overriding and adjusting any different resource allocations that may have been made by private ordering arrangements. Because there is no way to verify the assumptions made about the value that people place on the benefits associated with quality of life modeling inputs like decarbonization, there is no way to show that social welfare modeling outcomes represent anything more than the personal policy preferences of the officials who ran the model. Social welfare modeling can be an interesting intellectual exercise when conducted by an academic economist. However, in the hands of a powerful policymaker with limited real-world information, social welfare modeling is a dangerous fiction that lends undeserved intellectual legitimacy to decisions actually made for the reasons so tellingly revealed by public choice theory and related research. The American people have many different policy preferences, and they value things like atmospheric decarbonization very differently. In a constitutional republic, the efficient and effective and lawful way for all of those different viewpoints to be filtered and mediated and aggregated is through the actions of the elected representatives of the people in Congress, not through the actions of unelected and unaccountable policymakers issuing top down directives from their positions of unchecked power in executive branch regulatory agencies. Prime Minister Margaret Thatcher once pointed out that there is no such thing as society. Society is not a collective entity; it is a free association of sovereign individual citizens who met in convention to constitute a government to which they carefully delegated certain enumerated powers. The concept of society as a thing—an entity whose welfare can and should be maximized by the directives of government policymakers—is just one of the progressives’ abstractions of aggregation that are used to obscure the extent to which top down policy directives disrupt private ordering arrangements to redistribute income by picking winners and losers. Professor Lambert defines regulation to exclude policies that are “solely” concerned with redistribution and claims that his approach to social welfare maximization leaves the subject of regulating to produce equitable outcomes largely “untouched.” His claim is unpersuasive. It ignores the significant extent to which all regulatory directives have a redistributive effect because they disrupt private ordering arrangements. And they all touch on the subject of equitable outcomes because they are driven by the top down presumptions of the “wise few” about the optimal allocation of society’s resources. The only way to optimize the allocation of society’s resources efficiently, and lawfully, is to respect the private ordering arrangements of the individuals who own those resources. Considering the importance of the subject and the author’s truly impressive professional credentials, it is disappointing that the analysis in Professor Lambert’s book is so constrained by his acceptance and use of the progressive concepts and assumptions that have defined the regulatory system for more than 100 years. Professor Lambert tries to improve incrementally the functioning of the current system, judging its performance against standards laid down by progressives for an administrative state. What America really needs is a fundamental and thoroughgoing critique of the current system, judging its performance against standards laid down by the Founders for a constitutional republic governed by the rule of law. That could make the regulatory system truly better. We like to say that our government is ruled by law and not the passions of men. We like to say that no one is above the law and all are equal before the law. We like to say that we live in a nation governed by the rule of law. In that case, what is required for the regulatory system to be lawful? What are the attributes of lawfulness that we can use to evaluate the current system and to support our efforts to make that system better? Regulations have the full force and effect of law, the same as the laws enacted by Congress. In fact, regulators enact many more laws than Congress does. In 2016, for example, federal regulators enacted eighteen times the number of laws passed by Congress. Therefore, it is vitally important for regulations, and the procedures that are followed to enact and apply them, to be lawful. One necessary attribute of a lawful regulatory system is full statutory compliance. To be lawful, regulations as well as the procedures followed to enact and apply them must be in complete and consistent compliance with all applicable congressional statutes and the controlling court decisions that have interpreted those statutes. To the extent that components and characteristics of the regulatory systems do not meet this statutory standard, then legislative and executive branch leaders should formulate the substantive and procedural improvements needed to bring the system into conformity with the statutory standard. However, while statutory compliance is necessary for lawfulness, it is not sufficient. To fully satisfy the critically important standard of lawfulness, regulations and the procedures followed to enact and apply them must be in complete and consistent compliance with the fundamental law of our republic embodied in the Constitution, with its provisions interpreted to faithfully conform to their original public meaning. Justice Gorsuch has written eloquently about our constitutional government and the Founders’ rationale for its text and structure. In enlightenment [political] theory and hard won experience under a tyrannical king the founders found proof of the wisdom of a government of separated powers. In the avowedly political legislature, the framers endowed the people’s representatives with the authority to prescribe new rules of general applicability prospectively. In the executive, they placed the task of ensuring that the legislature’s rules are faithfully executed in the hands of a single person also responsive to the people. And in the judiciary, they charged individuals insulated from political pressures with the job of interpreting the law and applying it retroactively to resolve past disputes. This allocation of different sorts of powers to different sorts of decisionmakers was no accident. To adapt the law to changing circumstances, the founders thought, the collective wisdom of the people’s [elected] representatives is needed. To faithfully execute the laws often demands the sort of vigor hard to find in management by committee. And to resolve cases and controversies over past events calls for neutral decisionmakers who will apply the law as it is, not as they wish it to be. [T]he founders considered the separation of powers a vital guard against governmental encroachment of the people’s liberties, including all of those later enumerated in the Bill of Rights. A government of diffuse powers is less capable of invading the liberties of the people. Through the Constitution, the Founders established a government of limited authority granted by a sovereign people, its enumerated powers checked and balanced by a clear separation of functions, all in order to secure the natural inalienable rights of the people so forcefully affirmed in the second paragraph of the Declaration of Independence. The Founders carefully enumerated the powers and separated the functions of the government in an effort to protect against the tyrannical excesses that always result from the concentration of unbounded power in a single government authority. And through this Constitution, the Founders established the rule of law in our country. How did our Constitution establish the rule of law? Over the decades, many scholars, jurists, and other commentators have written about the rule of law, its essential attributes, and the significant benefits that can result from the incorporation of those attributes into a country’s system of governance. Commentators are agreed that the mere existence of laws and the institutions commonly associated with a legal system do not prove the presence of the rule of law. Countless laws have been promulgated and enforced throughout history, often arbitrarily by abusive tyrants. Dictatorial systems of governance have often included written constitutions, legislatures, and courts; these are the trappings—not the essence—of the rule of law. The functions of legislation, executive administration, and adjudication are carried out by clearly separate branches of government, each operating transparently and with essential independence within its respective sphere of responsibility according to the constitution of the country. In the legislature, the people’s elected representatives are endowed by the constitution with the authority to enact new rules for general and prospective application. Once enacted by the legislature, the rules remain fixed unless and until amended by the legislature. The executive is also answerable to the people and charged by the constitution with the job of faithfully executing and administering the rules that have been enacted by the legislature. The judiciary is insulated from politics and political pressures, and it is charged by the constitution with the job of interpreting the rules that have been enacted by the legislature and applying them retroactively to resolve past disputes. The laws and the legal system of the country are consistent with the fundamental law contained in its constitution. The laws of the country are readily accessible and intelligible to the persons covered by them. The legal system treats like cases in like manner, faithfully applying the laws as written, without exception or waiver, to adjudicate questions of right and liability. The legal system recognizes and respects fundamental human rights, including property rights, and protects those rights from private parties and public officials who would use arbitrary power to abuse them. If these are the essential attributes of the rule of law, two things are abundantly clear: the system established by our Constitution, as eloquently described by Justice Gorsuch, clearly embodies the rule of law, and the current regulatory system does not. Even a cursory evaluation of the current system shows the dramatic extent to which regulation has forsaken the rule of law as described in the list above. This is one of the main reasons many Americans report to pollsters that they think there is “too much” regulation. Much of what is concerning about the current system—the consolidation of once separate government functions within a largely unaccountable “fourth branch,” the constantly changing rules, the rules written to pick winners and losers, the endless maze of permitting, the overbearing administration, the politicized enforcement and shakedown settlements, the retroactivity, the waivers, the abiding uncertainty that results from the broadly defined discretionary authority of individual regulators—all of these problems are directly traceable to the lawlessness of the current regulatory system. The essence of the rule of law is the restraint of arbitrary power; the essence of the current regulatory system is the exercise of arbitrary power. It took years for the current situation to develop. It will take years more, and a great deal of hard work by many dedicated people, to recover a regulatory system based on and faithful to the rule of law and the Constitution. At least the attributes of regulatory lawfulness and statutory and constitutional consistency are clearly defined and well known. Those attributes can be used to identify the specific reforms that need to be implemented to make the regulatory system more lawful and, as a result, better. A growing body of research increasingly supports the conclusion that a system of governance based upon the rule of law can effectively support the desirable objectives sought by the current regulatory system—things like clean water and a safe workplace—while protecting individual liberty and limiting the threat of government overreach inherent in the progressive system of governance. A system of governance or regulation based on the rule of law attains its policy objectives by proscribing actions that are inconsistent with those objectives. For example, this type of regulation would prohibit a regulated party from discharging a pollutant in any amount greater than the limiting amount specified in the regulation. Under this proscriptive approach to regulation, any and all actions not specifically prohibited are permitted. Hayek and others have noted the significant economic benefits that flow from a system of governance based on rules designed to restrain the arbitrary exercise of power. Such rules make it possible to foresee with fair certainty how power will be applied in given circumstances and, within the open spaces established by such rules, to freely plan one’s own affairs. Such rules encourage individuals to undertake the risks and pursue the rewards associated with productive economic activity and innovation because they know that policymakers will be prevented from disrupting their private ordering arrangements through arbitrary top down directives. And such rules facilitate the efficient allocation of scarce resources because they free individuals to act in ways best suited to the circumstances of time and place best known to each of them. While prosperity, progress, and efficiency are significant positive attributes of a system of governance based on the rule of law, they are not the most important. By far, the most important attribute of such a system is a genuine institutionalized respect for the natural rights of each sovereign individual citizen, and a genuine institutionalized commitment to protect the political and economic liberties necessary to exercise those natural rights. All regulations should be based on this kind of respect for the individual. Policymakers should not approach their task as physicians—as superior technocrats working to correct the errors of their inferior fellows in order to improve the health and welfare of a fictitious collective abstraction called society. Rather, policymakers should approach their task as humble public servants charged first with respecting and protecting the natural rights of the individual citizens they work for. Policymakers should review the private arrangements of their fellow citizens with the genuine respect and deference they deserve. And policymakers should never take any action to disturb the private ordering arrangements of their fellow citizens unless that action is clearly authorized by a statute enacted in Congress by the elected representatives of those citizens. If individuals live only seventy years, then a state, or a nation, or a civilization, which may last a thousand years, is more important than an individual. But, if Christianity is true [and human beings are immortal], then the individual is not only more important but incomparably more important, for he is everlasting and the life of the state or civilization, compared with his, is only a moment. See Clyde Wayne Crews, Jr., Ten Thousand Commandments 2018 (Washington, D.C.; Competitive Enterprise Institute, April 2018). Id. See also Bureau of Labor Statistics, “Consumer Expenditures in 2016,” BLS Report No. 1073, August 2017, https://www.bls.gov/news.release/cesan.nr0.htm. Thomas A. Lambert, How to Regulate: A Guide for Policymakers xi (Cambridge University Press, 2017). Office of Management and Budget, Regulatory Matters, at https://www.whitehouse.gov/omb/ information-regulatory-affairs/regulatory-matters/. Lambert, supra note 3, at 13. See, e.g., Steve Forbes & Elizabeth Ames, How Capitalization Will Save Us (2011); Thomas Sowell, Basic Economics: A Citizen’s Guide to the Economy (2007). Lambert, supra note 3, at 250. See, e.g., John A. Allison, The Financial Crisis and the Free Market Cure (2013). Woodrow Wilson, The New Freedom 48 (1913). Woodrow Wilson, The Study of Administration, 2 Pol. Sci. Q. 197 (June 1887). F.A. Hayek, The Use of Knowledge in Society, 35 Amer. Econ. Rev. 519-530 (Sept. 1945). See, e.g., Iain McClean, Public Choice: An Introduction (1997); Dennis C. Mueller, Perspectives on Public Choice (1996). Lambert, supra note 3, at 33, 80-84, 233. The Federalist No. 47, at 249 (James Madison) (George Carey and James McClellan ed., 2001). Simon Moss, Measures of Social Welfare, Sicotests, available at https://www.sicotests.com/psyarticle.asp?id=410; T.C.A. Ramanujam, How to measure social welfare, Financial Express (Sept. 22, 2009), available at https://www.financialexpress.com/archive/how-to-measure-social-welfare/519398/. See Moss, supra note 44, and Ramanujam, supra note 44. Robin Broadway & Bruce Niel, Welfare Economics (1984). Mark D. White, The Problems with Measuring and Using Happiness for Policy Purposes (Mercatus Research, July 2015), available at https://www.mercatus.org/system/files/Problems-Measuring-Using-Happiness-Policy-Purposes.pdf. See, e.g., Politics as Public Choice: The Collected Works of James M. Buchanan (Robert D. Tollison, ed.) (2000). Douglas Kaey, An Interview With Prime Minister Thatcher, Woman’s Own, at 8 (Oct. 31, 1987), available at https://www.margaretthatcher.org/document/106689. Lambert, supra note 3, at 5, 256. Clyde Wayne Crews, Jr., Ten Thousand Commandments 2018 72 (Competitive Enterprise Institute, April 2018). Gutierrez-Brizuela v. Lynch, 834 F.3d 1142, 1149 (10th Cir. 2016) (Gorsuch, J., concurring). See, e.g., Niall Ferguson, Civilization: The West and the Rest (2011); American Bar Association, The Rule of Law and Economic Development (2007). See, e.g., Richard A. Epstein, Design for Liberty 19-20 (2011); Niall Ferguson, The Great Degeneration 78-85 (2013). Americans’ Views on Government Regulation Remain Steady, GALLUP (Oct. 11, 2017), http://www.gallup.com/poll/220400/americans-views-government-regulations-remain-steady.aspx. See, e.g., Ferguson, Civilization, supra note 53; Deirdre N. McCloskey, Bourgeois Equality: How Ideas, Not Capital or Institutions, Enriched the World (2016). See F.A. Hayek, The Road to Serfdom (1944). C.S. Lewis, Mere Christianity 73 (McMillan Publishing Company, 1943).